No content marketing effort can really begin until you understand what makes your business different and worthy of attention. After all, content marketing is a way for your brand to articulate and spread a message meant to provide value, as well as inspire action and conversation around your products and services. If you don’t have a rock-solid understanding of what your unique offerings are and (to put it bluntly) why anyone should care, then investing time and energy into spreading your message will be an exercise in futility. This article will highlight four key exercises (Golden Circle, Elevator Pitch, Minimum Viable Personality and Customer Empathy Map) that will help you zero in on a consistent and compelling message to inform your content marketing efforts down the road. This question might seem a bit blunt, but it cuts to the heart of the issue as far as content strategy and creation is concerned. Content marketing is effective primarily because quality, original content can capture the attention of your customers much more reliably and effectively than simply interrupting other’s content (i.e. traditional advertising) ever will. Although content holds potential for gaining attention (and by extension, business) this potential can only be realized if you understand two important things first: what your brand is/stands for, and who your audience is/what they want. These two distinct elements come together in the mind of your customer when they consider whether or not they should bother paying attention to you. Answering this question well is very difficult. Many businesses go on the defensive and make claims about their competitive prices or great service, and while these are prerequisites for doing business, they are rarely compelling. The best way to go about answering these questions and putting them to use in your content creation are to focus on looking inward and defining what about your business makes it truly special and who this unique difference may appeal to. This post will teach you four techniques to go about searching your business and your brand for an answer to this tricky four word question. The exercises here can be broken into two categories. • The first two will help you articulate what exactly makes your brand/organization unique and worthy of your customer’s attention. • The second two will then help build out a profile of what the ideal recipient of your branded message will look like, thereby allowing you to tailor content specifically to that person. Regular readers of this blog may recall my high praise of Simon Sinek’s “Golden Circle” technique. 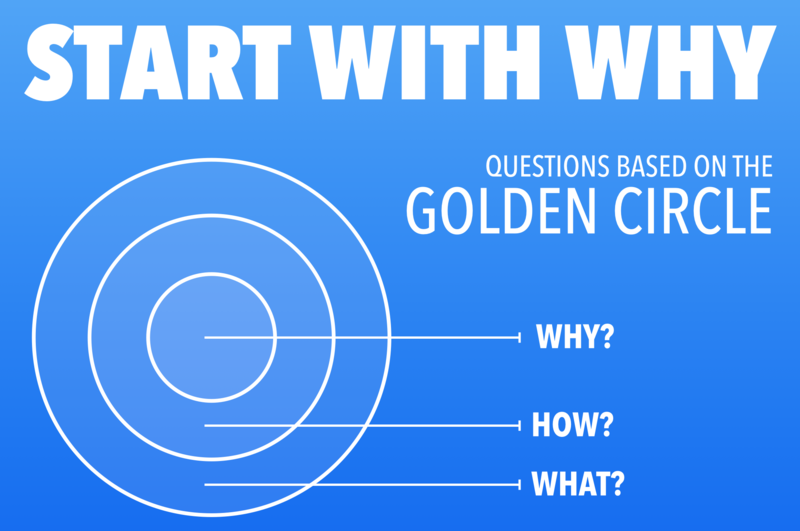 The Golden Circle exercise asks participants to build out a mission for their brand by starting with why their company exists on a fundamental level, then answering how their company makes good on that purpose and then ending with what it is they actually do or make. The brilliance of this exercise is that it forces brands to correct the order in which they think about their business. Instead of focusing primarily on their specific offerings, Sinek urges brands to “start with why” they exist and build out from there. A far-too-common problem in many businesses (especially those who are not consumer-facing) is that they unapologetically exist primarily to make money. To the more conservative business minds out there, this might seem like a non-issue. But it doesn’t make for very powerful messaging and undercuts a lot about what makes content marketing so successful in the modern B2B marketing landscape. In the past, interruption advertising could work because businesses primarily offered utility by competing at the margins. If you were in the market for widgets you wouldn’t mind being interrupted with an offer for cheaper, sturdier ones made by whoever could do it best. However, the ability for small entrants to compete at the margins is waning, and consumers (even those in B2B) are rapidly changing their expectations and preferences. If your answer to “why do you exist?” is “to sell great widgets” then your brand is just like all the others and will be forced into marginal competition. Content marketing turns the old notion of advertising on its head by saying that customers don’t just want information about a company’s offerings, they want the brands they buy from to stand for something bigger than their products. Being a purpose-driven organization helps you rewrite the rules of competition in your favor and is really the only way to pursue a content marketing strategy successfully. With that being said, reimagining your business using the Golden Circle is a great way to begin to discover your brand’s real purpose. Devising a clear, mission-oriented brand will allow all your content to have a central theme and will make your offerings more compelling overall. 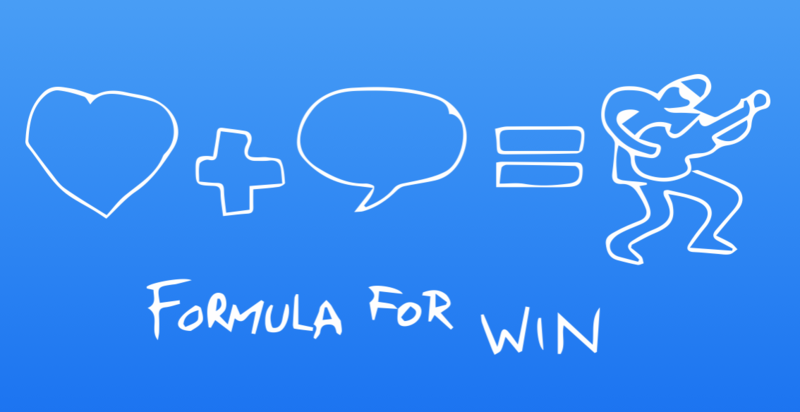 Once you have outlined a compelling mission statement that starts with why, you can now focus on articulating this mission in a concise, easy to communicate form. Even though answering the question of why your business exists is incredibly important, it is just as vital to quickly and easily communicate what it is you do and how you achieve that goal. All jokes aside, the above image provides a useful framework. This formulation will work for nearly any brand and will serve as a great jumping off point for crafting a short and sweet summary of what your organization does and why it matters. 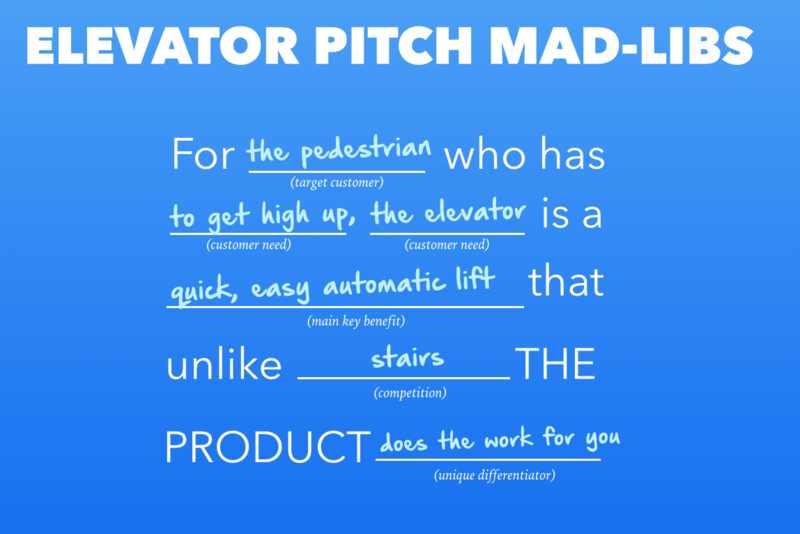 The reason that an elevator pitch is so valuable is because, when it comes to specific details, people will likely only remember the most basic facts about your product or service. Content marketing will relate back to your product tangentially but chances are that many potential customers who enjoy your content will only have a vague idea of what you do. Communicating your core offerings in a concrete way will help keep your product top-of-mind for readers who might eventually become customers. In addition, having this message clearly outlined will be invaluable in ensuring that all the content you create either conforms to, or advances the core message and offerings of your brand. 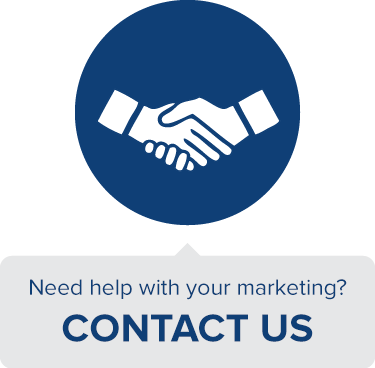 After articulating exactly what your company’s mission is and how it seeks to achieve this mission it will pay to turn your focus outwards and to analyze the ideal recipient of these carefully crafted marketing messages. 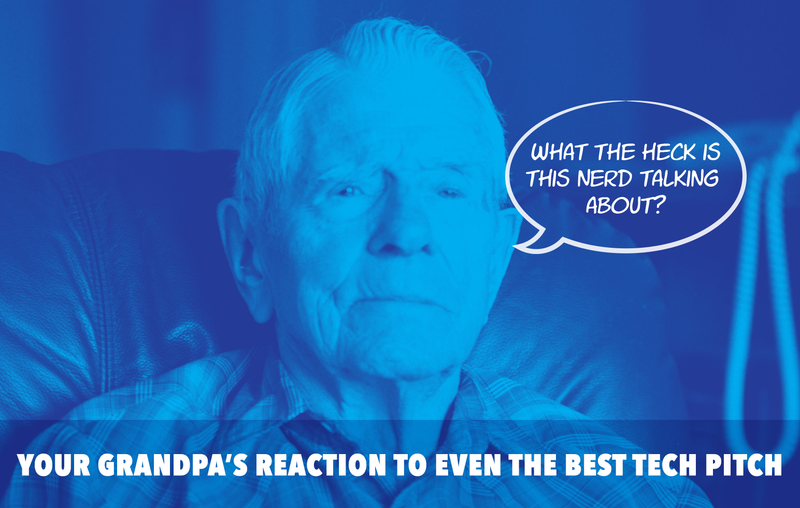 After all, even the most eloquent and compelling mission statement can bore the listener to tears if they are not the right fit for what you’re selling (if your grandpa watched the Steve Jobs iPhone keynote he’d probably fall asleep). Once you get past the fairly ridiculous writing style, the meat of the post is actually pretty insightful. What Fake Grimlock not so eloquently points out is that people don’t respond to brands meant to please everyone. The minimum viable personality asks that you define what you offer that changes your customer’s life (elevator pitch), what you stand for (Golden Circle) but then requires one additional question you haven’t been forced to answer: what do you love and what do you hate? This might seem a bit too personal for a brand to address, but that’s exactly the point. This exercise is meant to give your brand personality and in order to do so you might have to roll up your sleeves and get ready to be comfortable with informality. Nobody will talk about your content if it is boring or impersonal, and nailing down a minimum viable personality and using it to imbue your content with a brand voice that resonates with your audience will ensure that they can’t possibly ignore you. Now that you have a rough sketch of what your ideal customer looks like, you have sufficient direction to take this outline and flesh out a deeper, more useful persona. The exercise that will help to best achieve this goal is called the customer empathy map. True to its name, this exercise will force you to empathize with your customers on a deep level in order build out a robust profile of what they experience and feel on a daily basis. 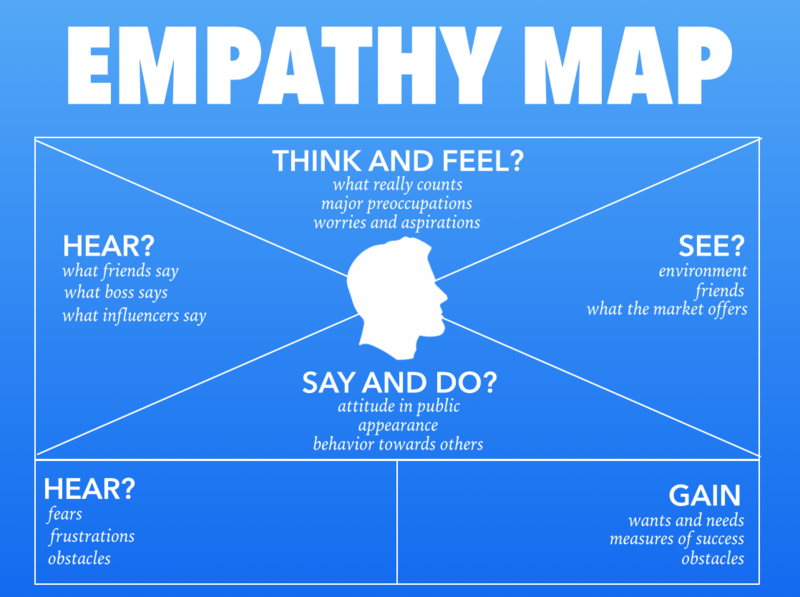 Whereas the MVP only asked about your audience in rough terms, the customer empathy map helps drill down specific, categorical insights into the thoughts and feelings of your ideal customer. Depending on the variability of your audience, you might need to complete more than one empathy map. The above graphic shows the six broad categories to guide your inquiry. Each of these should be filled out with a comprehensive and detailed set of answers aiming to be as specific as possible. This process is best done in a team brainstorming setting. Don’t aim to finish it quickly either. Think long and hard about what your customer truly thinks and feels and update it often. The answers to these questions are so important because (as we’ll see in next week’s article) they might direct your attention to potential competitors as well as potential ideas for topics and messaging. By the time you are set to apply this map to informing your content strategy you should have robust lists for each category. It may not be easy, but it will certainly be worth the effort. Specifically, you will know how to craft a compelling mission statement for your organization and then clearly and concisely articulate how your organization aims to accomplish that mission and how it differs from the competition. In addition, you will also know who your ideal audience is, how to embody a voice that will speak to them and you will have gained a clear and detailed understanding of what they experience and how they make decisions. 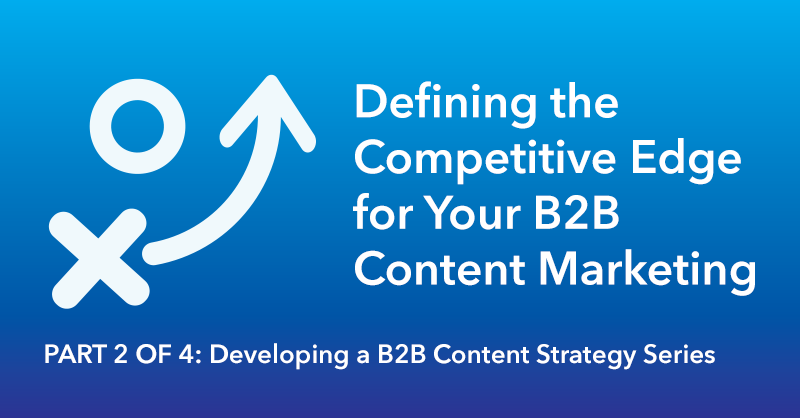 As you set to embark on creating a content marketing plan for your B2B organization, having these questions clearly and comprehensively answered will ensure that your content aligns with the central mission of your organization, fits with your core offerings and speaks loudly to your ideal customer. These exercises will serve as an internal rubric for judging every single potential piece of content that you will outline in the plan we work on in the next lesson, and will ensure that all of this content works towards communicating the perfect message for your brand. This is part 2 of 4 in this series. To learn how to develop a B2B content strategy for your organization, review Part 1, Part 3 and Part 4 as well.